It’s always a joy to witness your baby’s milestones even though some are attached to growing pains like the one babies experience when teething. Teething occurs when the teeth emerge through the gums. It can be a frustrating time for many parents as babies and children can become unsettled when they teethe. There are measures that you can take to improve the symptoms of teething in your baby or child. These include using cooled teething rings and also some teething gels. Teething occurs when the milk (or baby) teeth come through the gums. It is a normal part of development. Although the milk teeth develop when the baby is growing in the womb, the teeth only start to grow throughout the gums when the baby is six to nine months old (although it can be before or after these ages). When the teeth grow, special chemicals are released by the body that causes part of the gums to separate and so allow the teeth to grow through. The teeth grow throughout the gums in stages. Usually, the lower front teeth come through first, followed by the top middle teeth. Other teeth follow over the ensuing months. Children are usually aged around two and a half or three when they have their full set of first teeth. If you’re looking for safe ways to soothe your baby’s sore mouth, read on to get the smile back. Dentists don’t necessarily recommend all of these methods, and some researchers say they don’t really work, but parents who've been there have plenty of advice that might just bring your baby some sweet relief. Symptoms of teething often occur a few days (or even weeks) before the tooth comes through the gum. Red, flushed cheek or face. Researchers say teething does not cause diarrhea, loss of appetite, or any of the other more severe symptoms some people observe. They say those symptoms are likely related to other things and should be treated separately. Doctors say that in most cases, discomfort, pain, and a slight fever are the only real hazards from teething. If you spot other symptoms, talk to your health-care professional. If you are breastfeeding, nursing is often a reliable way to give your baby some comfort, and teething time is no exception. The sucking is what matters for some babies, but don’t feel like you have to keep nursing if it’s not working. Move on to other options if pain is still a problem. Also, for some babies, Mom’s breast can be tempting to bite on. Several bloggers recommend rubbing your baby’s gums with a clean finger if biting becomes a problem. Gently rubbing over the affected gum with your clean finger may ease the pain. A raw carrot, cucumber or celery stick straight from the fridge. Stay with him when he is eating it, to make sure he doesn't choke on any pieces he bites off. Many children find that biting on a clean and cool object is soothing (for example, a chilled teething ring). Chewing on chilled fruit or vegetables may help. However, teething biscuits (or rusks) should be avoided as they contain sugar. The juice extracted from the stem strengthens the gums. Caution: As soon as the first tooth appears it is advisable to stop this treatment. Use the fresh leaves to rub the gums and strengthens the teeth. Several natural parenting sites recommend chamomile tea to help with teething and it’s an ingredient in some natural teething products. Chamomile has been used as an herbal remedy for thousands of years in a number of cultures. Make sure that any tea you give to your baby is caffeine-free. You should also never give tea made from plants from a garden, due to the risk of botulism. You can freeze chamomile tea into the mesh teethers mentioned above, offer a few cool sips on a spoon, or rub a chamomile tea-dipped finger on your baby’s gums. Breastfeed or bottle feed. Using a cold towel on your baby’s sore gum works like magic! Put a clean small towel or washcloth in the freezer or pour very cold water from the fridge on the washcloth and place this on your baby’s sore and swollen gums. It is important to use teething rings that are BPA free. Keep chilled in the refrigerator or freezer (see instruction leaflet) and place on your baby’s swollen gums to ease irritation. It works! Avoid the ones filled with liquid just in case they break. Rubbing clean fingers (especially the fore-finger) on baby’s sore gum also works brilliantly but make sure that they are clean. Thick allergen-free biscuits can also be beneficial to your baby during this period. Cold Banana is advisable for babies that are 8 months and older. Apply a little Vaseline around your baby’s mouth at bedtime. This usually prevents night-time soreness around the mouth. Applying a little sugar-free teething gel on your baby’s sore gum might help. Bonjela is common in this part of the world and can be used from 2 months upwards. Teething gels usually numb the pain for about 20 minutes. You can combine this with one home remedy such as using the teething ring for longer pain relief. Common Pain Relieving Drugs: Paracetamol is considered to be safe in children but always ask the pharmacist for the appropriate dosage. Preferably, get your pediatrician’s prescription. Teething Granules or Powder: You might also want to get a prescription for this. It is known to relief babies temporarily from teething-related pains. Overall, be calm as you try to help your little cutie through this major milestone. 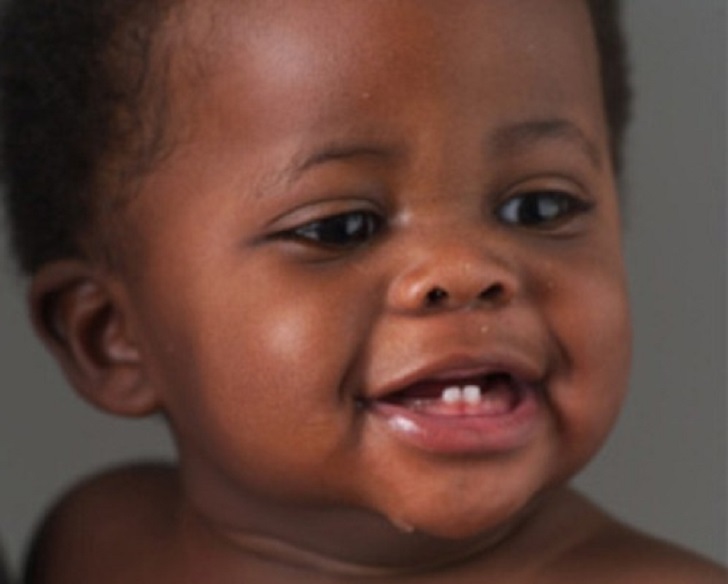 Finally; Remember that any teething remedy you choose should be safe and nontoxic. Ask your pediatrician or dentist if you have any concerns, or want to try something you find on the Internet or learn about from other parents. There are dozens of “natural” recommendations that have been around for generations but not all of them are a good idea.